Own a business like we do? Do you have time to think about your roof? If you’re schedule is anything like ours – probably not. Unfortunately, time and the elements have a way of making your business’ roof a priority whether you like it or not – usually at the most inconvenient time. Bottom line: since a roof is the primary barrier between the outdoors and your valuable assets a good roofing system should be considered an essential part of your facility. 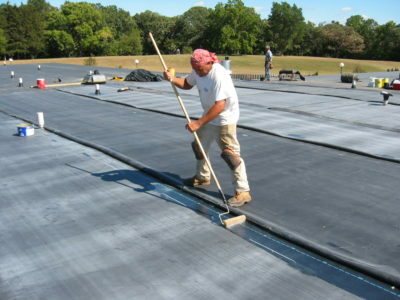 EPDM is a very durable rubber roof membrane that is made out of ethylene propylene diene terpolymer. 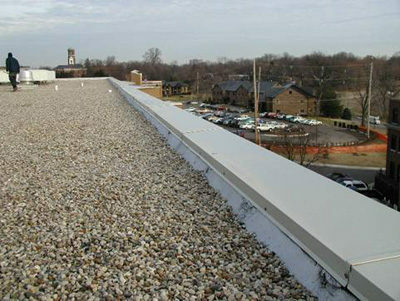 It is the most common thermoset roof membrane and is used mainly for low-slope buildings. The ethylene and propylene used are extracted from oil and natural gas. Rubber EPDM roofs can either be installed fully adhered, mechanically attached or ballasted. The seams of the roofing systems can be sealed using specially formulated tape or liquid adhesive. Although they mostly come in black, white EPDM roofs are also available in the market. The roofs are sold in a wide range of widths from 7.5 feet up to 50 feet. The sheets are available in two thicknesses, 60 mils and 45 mils. Thermoplastic polyolefin (TPO) roofing membranes are one of the fastest growing commercial roofing products. TPO is a polypropylene based plastic and ethylene or propylene rubber. This rubber and plastic blend makes the TPO membranes durable and flexible even during low temperatures. It is important to note that TPO roofs have different formulas, chemistry, production processes and designs depending on the manufacturing company. These roofs can be heat welded since TPO is a thermoplastic, this results in a strong, durable and monolithic roof. 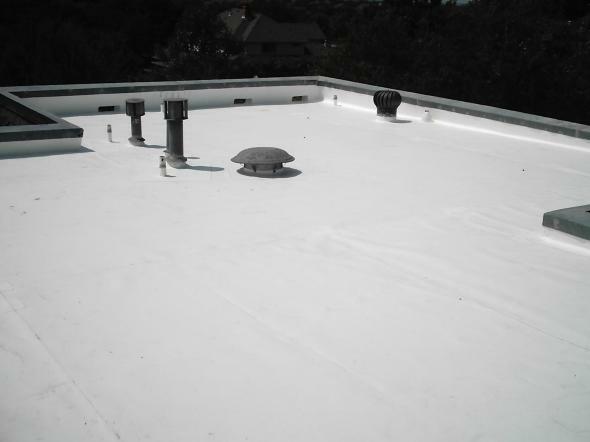 Thermoplastic polyolefin roofs can be mechanically attached or fully adhered. They are relatively easier to install but must be done by roofing contractors to provide top performance. TPO roofing systems are resistant to ultraviolet light damage and chemical damage. Additionally, they are very effective at reflecting heat and are energy efficient. The major drawback of this roofing system is that because of the relative ease of installation, it can be difficult to find the right roofing contractors. Built-up roofing systems are one of the two categories of asphalt roofing systems for commercial and industrial roofing, the other being Modified Bitumen Systems. They have been widely popular for years owing to their reliability. Built-up roofing systems consist of alternating layers of bitumen and reinforcing fabric. They offer multiple layer protection due to their bitumen saturated felts. As a result, they are extremely resistant to water damage providing protection from the elements for years. Built-up roofing systems possess uplift resistance to ensure they will stay being put in extremely windy conditions. In addition, they are cost effective as compared to other quality commercial roofing systems because they provide extended service life. They are an excellent choice for heat control. They resist the conduction of heat between the outside and inside of the building. However, the installation of built-up roofing systems must be done by well trained professionals. Also referred to as fiberglass roofing systems, GRP flat roofs have the ability to last for more than 30 years with minimal maintenance and deterioration. Although GRP roofing systems are relatively pricier than traditional industrial roofing systems, their durability is a plus when considering large scale commercial roofing systems. For businesses concern with their “Green” profile, GRP roofing does not leave a large carbon footprint compared to other roof solutions. Rather than the smelly hot application methods like torches or boilers needed for competing designs, GRP is cold applied. In addition, the production process of GRP roofs is completely clean eliminating the danger from potentially hazardous byproducts. 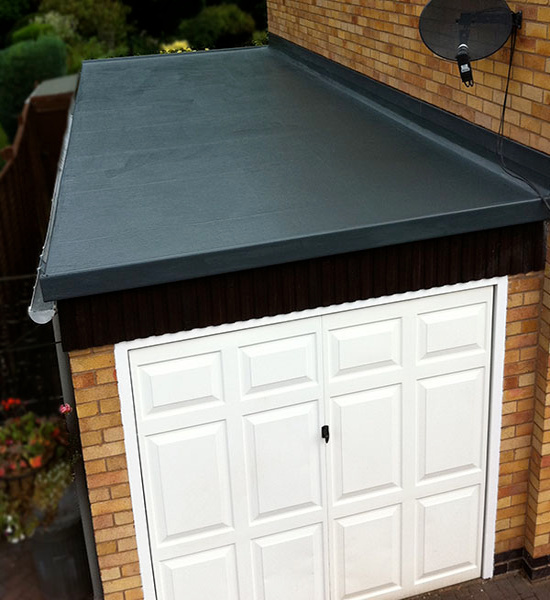 GRP is not easy to install requiring experts roofing contractors, thus adding to it’s price. Spray polyurethane foam based roof systems are unique in that they are suitable for installation over existing roofs. They are also the cheapest of the industrial roofing designs discussed herein. 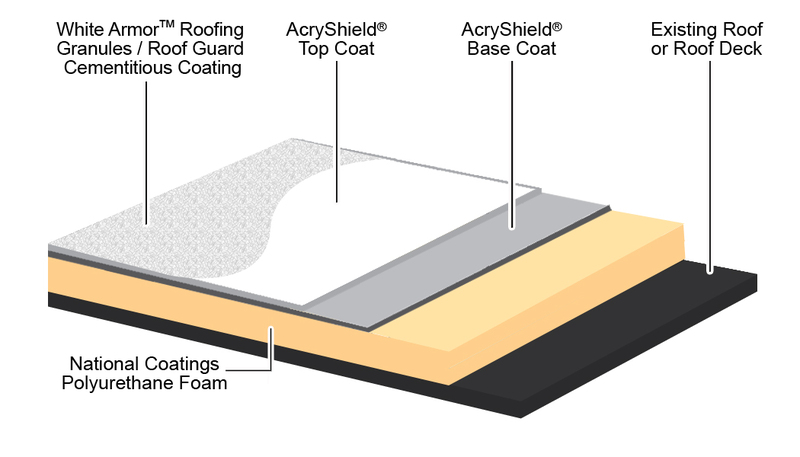 The application of a SPF roof involves three components; the substrate, SPF layer and finishing top coat. The substrate is often the deck of the building’s roof. The SPF layer is a liquid consisting of polyol and isocyanate. These two components are mixed in a spray gun that is then used to spray them onto the substrate. The top coat is either an elastomeric coating or a membrane. It basically protects the SPF roof from the elements such as extreme weather conditions, fire and ultraviolet light. The common coatings used may include silicone, butyl rubber or acrylic. This roofing system is the least preferred for industrial roofing. It has the most difficult installation process as it has to be done at optimum weather conditions. The process is also potentially dangerous with the emission of fumes during the spraying stages. Looking for a Commercial Roofing Contractor? Are you in the market for a new flat roof on an existing business? Looking for a trusted contractor for new commercial construction? TRI Roofing is a fully insured and licensed commercial roofer and home improvement contractor and are dedicated to serving the Triangle’s roofing needs by providing excellent service, and the absolute best workmanship and products. We strive to be the best at everything we do: that means the best price, the best service, and the best quality to meet your individual requirements. 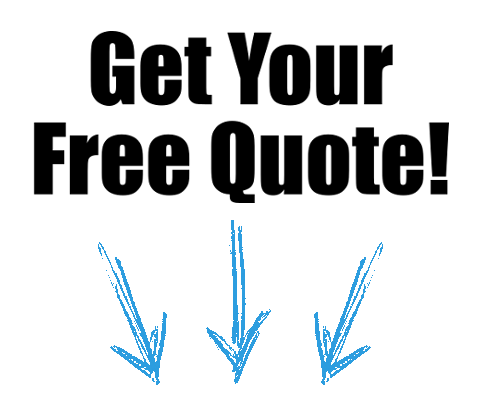 Give us a call today at (919) 296-0017.